The history of the Curule or Savonarola chair in furniture and design is varied and stretches over many periods in history. In the Roman Republic, the curule chair was the seat upon which magistrates holding imperium were entitled to sit. This includes dictators, magistri equitum, consuls, praetors, censors, curule aediles, and the promagistrates, temporary or de facto holders of such offices. Additionally, the Flamen of Jupiter was also allowed to sit on a curule seat, though this position did not hold imperium. Livy writes that the three flamines maiores or high priests of the Archaic Triad of major gods were each granted the honor of the curule chair. 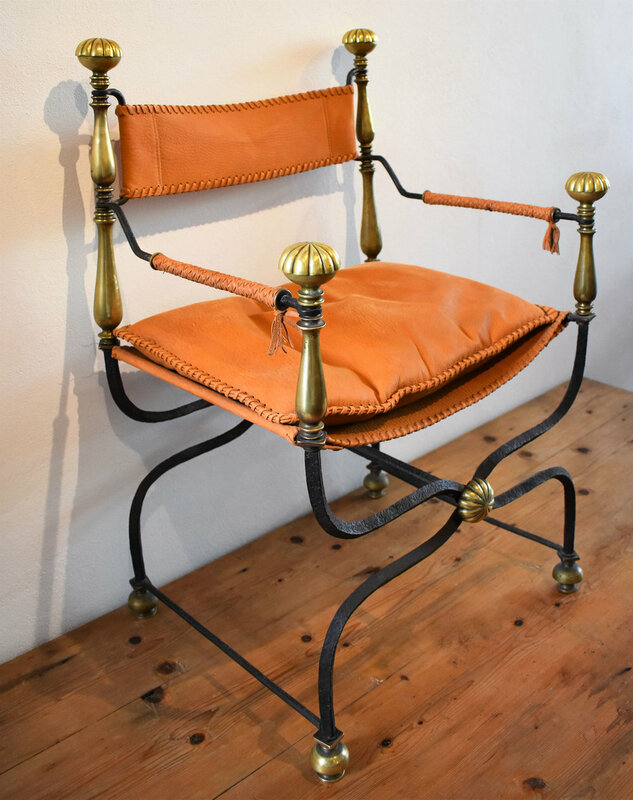 Another type of folding chair with a frame like an X viewed from the front or the side originated in medieval Italy. Also, known as a Savonarola or Dante chair in Italy, or a Luther chair in Germany, the X-chair was a light and practical form that spread through Renaissance Europe. In England, the Glastonbury chair made an X-shape by crossing the front and back legs, while in Spain X-chairs were inlaid with ivory and metals in the Moorish designs. The use of the name Savonarola chair comes from a nineteenth-century trade term evoking Girolamo Savonarola, is a folding armchair of the type standardized during the Italian Renaissance. As with attractive design and function, forms of this chair have had a constant revival throughout history. From classical revival, art deco to mid-century, these forms of chairs always help punctuate interior spaces, and always as with timeless design slip into almost any style of room.